I’m back out on the front porch this evening sipping apple cider and enjoying the cooler weather while writing this post. 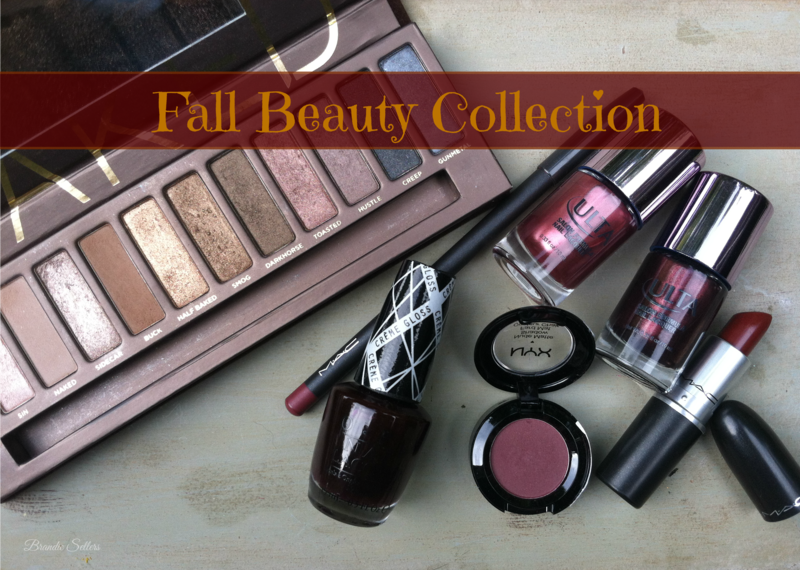 Today has inspired me to share with the beauty girls out there some of my fall beauty items. Half of this I already had from last year and I’ve acquired just a few more items over the year that I’ve been saving for the season. Spice It Up! 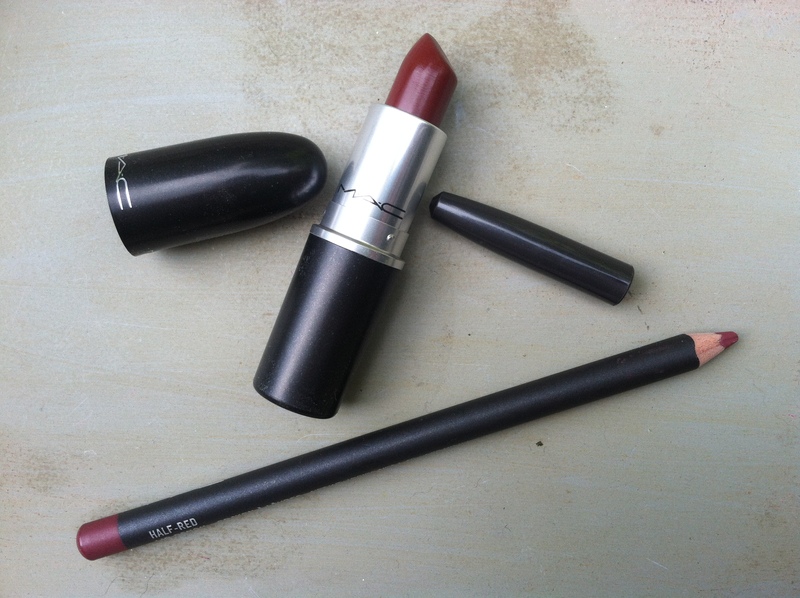 from MAC has been on my list to get for quite a while and was inspired by one of my favorite YouTuber’s, Elle Fowler. She wears this in many of her Fall and Winter videos and I always catch myself staring at her lips throughout the whole video! I don’t typically buy MAC Cosmetics, but considering how much they’re raved about, the quality, and the fact that I’m trying to stay away from certain chemicals found in drug store makeup (more on that in a later post), this might be the beginning of a collection. I paired this with MAC’s lip pencil in Half-Red, and love the results. It’s a deep burgundy color that I think is pretty flattering on and great to wear for both the Fall and Winter seasons. 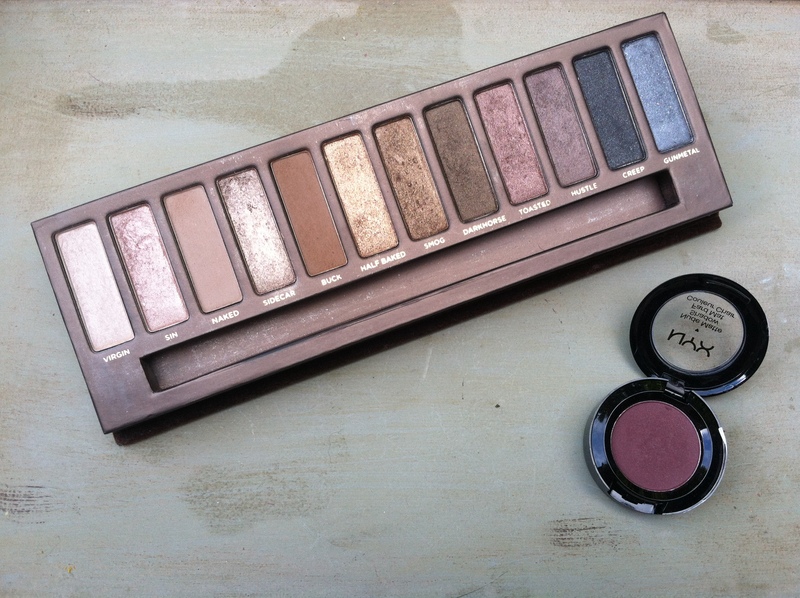 The NAKED Urban Decay eyeshadow palette has been in my collection for a few years now, and, like most girls, I love it. I found that last year I only used it in the Fall due to it’s warm colors and used the color Toasted and Smog a lot. Last year I was craving a wine or burgundy colored eyeshadow and finally found one by NYX in the color Skinny Dip. I’ll admit, I’m a little nervous of how I’m going to wear this color. In the crease? All over the lid? I’m sure I can do both, but with a dark color like that, it’s so easy to look like you’ve been punched in the eye and I’m trying to avoid that. Wish me luck and let me know if you have any tips! Oh man. 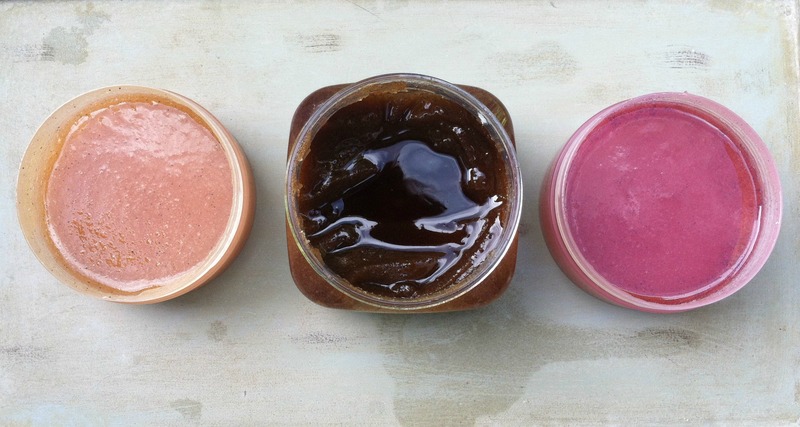 These sugar scrubs were love at first sniff. The Brazilian Nut sugar scrub I’ve been using since the summer and love the smell. It reminds me of a type of coffee scent. I’d like to say hazelnut comes to mind but at the same time I don’t think that’s quite it. Then at the beginning of September, Ulta released some yummy Fall scents in their sugar scrub line and I almost couldn’t resist. Both the pumpkin and apple scents are so scrumptious you could almost eat them. 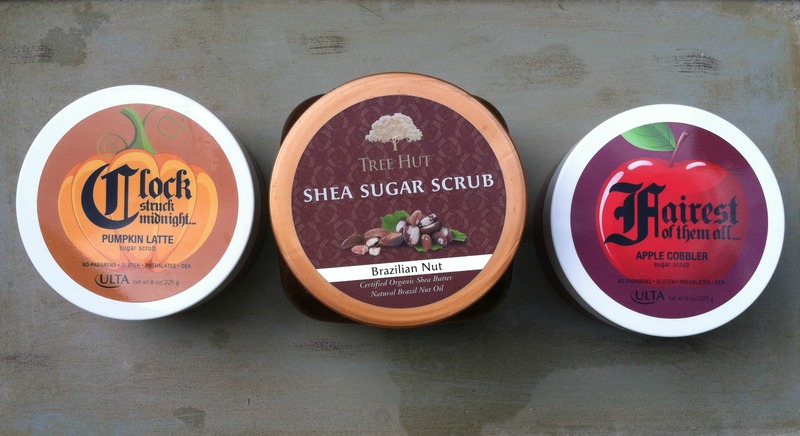 They exfoliate wonderfully and the best part about it is there’s no parabens! The only con is the price. Luckily I got them on a Buy 2 Get 2 sale. It was a little more justifiable then. My first tub went pretty quickly, so having two of the same scent works out for me since I stocked up! I found this O.P.I nail polish in the shade I Sing in Color, at Ulta one day in the Summer and grabbed it at a major sale price. I may have gotten it for less than $2. I had eyed it for ages and finally caved in knowing it would be a great vampy shade of red on my nails for the Autumn. I’m itching to get it on my nails! I can’t wait. 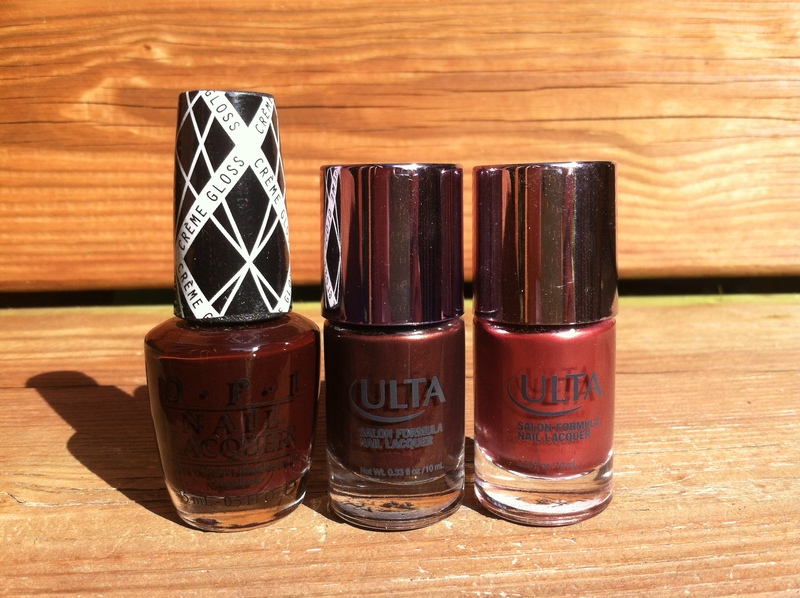 The middle shade is Chocolate Kiss, by Ulta, and sadly, I can’t find a link to it and think it may be discontinued. I bought this last year in November, and it’s such a beautiful chocolate color I had to include it in the event they bring it back. Sunset Bronze nail polish by Ulta, I also bought last year and thought would be great to include for this post. It has gorgeous shades of red and brown mixed in it that make me think of apples and turning leaves. Another one I can’t wait to wear! Okay beauty lovers! What colors will you be adorning this season?